Description :- Vaishno Devi trip was always on the cards hence I decided to have it in my recent J and K expedition. 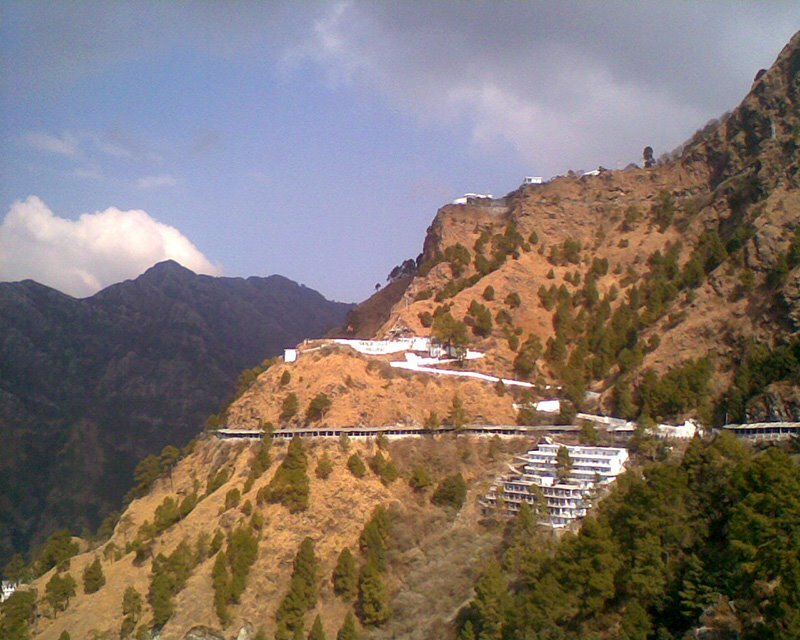 Beyond a point, there is this famed tourist attraction called Sanjhi Chhat in Vaishno Devi. It gives a life-sized view of the popular goddess’ temple and enchants every onlooker. The view was just enough to get me into a trance. Here’s a pic! This entry was posted in Attraction, Tourist Place, Travel and tagged view from sanjhi chhat in vaishno devi. Bookmark the permalink.